» You Never Thought That Owning A Bird Bath Could Be So Beneficial! The sight of colorful birds splashing around in the middle of your garden is certainly heart-warming. There’s one easy way to attract birds to your backyard and it’s quite cost-efficient. All that you have to do is invest in the purchase of a bird bath. You may still be wondering about it, uncertain whether your garden really needs one. Getting a bird bath will have much more than aesthetic benefits. In fact, here’s a list of the top advantages that you’ll get to enjoy after the purchase and the placement of a bird bath in your backyard. Kids today live in a hi-tech world. They have tablets, computers and video games. As a result, the connection with nature isn’t as strong as it used to be. Having a bird bath in the backyard will teach your children something beneficial and give them an opportunity to observe all of the birds. In fact, your kid can participate in the process of setting up and maintaining the bird bath. If you add a feeder to your range of outdoor accessories, you’ll make the activity even more exciting for a little one. Together, you can work on identifying the different types of birds that are coming to clean their feathers. It’s also a great opportunity to tell children a bit more about nature, the habits of birds, their migratory routes and why feather maintenance is so important. There are many reasons why you should consider attracting birds to your garden. If you’re experiencing problems with pests or aeration issues, having a bird bath installed will make a lot of sense. Birds feed on various types of insects. Thus, if you’d like to keep the fruits and veggies in the garden untouched by pests, you should most definitely think about options for attracting birds. Slugs, grasshoppers and caterpillars are common in most gardens. Birds feed on those, giving you a pesticide-free option for effective pest control. Apart from doing natural pest control, birds will also help you improve the condition of the garden in another way. Soil aeration is crucial for growing crops and flowers. 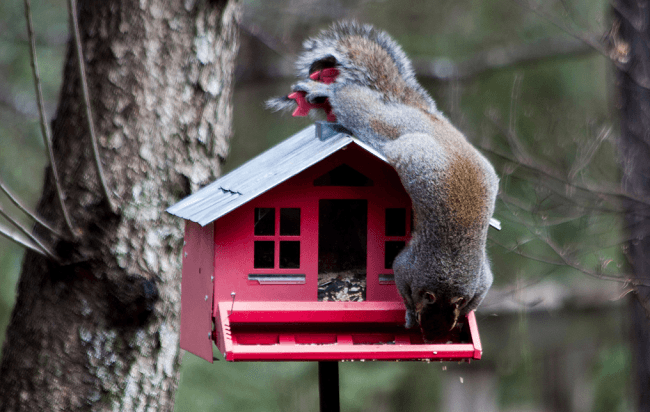 Instead of doing it yourself, you can rely on birds and squirrels to complete the task instead of you. When soil isn’t being aerated, it will become too compact. Birds will dig in the ground, looking for worms. Thus, unless the condition of the soil is really bad, the natural behavior of birds will be sufficient to do earth management. Some bird baths are heated, which prevents the water from freezing during the colder months. While some bird species will migrate during the winter, others will remain where they are. These birds will still need water for drinking and bathing purposes. Keeping the bird bath in your garden year-round is ideal, especially if you want to make life easier for little birdies while the weather is cold. As we’ve mentioned already, it’s important to get a heated variety that will prevent the water from freezing. This is particularly important for people that live in colder climates. Birds will flock to any source of water that hasn’t frozen. As a result, it’s possible to see even more activity in your backyard during the winter because the access to running water will be limited. A bird bath doesn’t bring solely birds to your backyard. You can use it to attract other beneficial animals and do effective pest control. Bird baths will usually attract wasps that are one of the biggest natural enemy of the cabbage worm. Bees and butterflies are also drawn to such sources of water. Birds play an important role in the pollination of plants. You want to have them around and you can easily accomplish the goal through the purchase of a bird bath. Remember that you don’t need a fancy or incredibly expensive bird bath to experience all of these benefits. Look for a product that corresponds to the size of your garden and that has climate-specific features (for example, if you live in a very cold place). The material that a bird bath is made of is one of the most important features, especially if you plan to use it year-round. 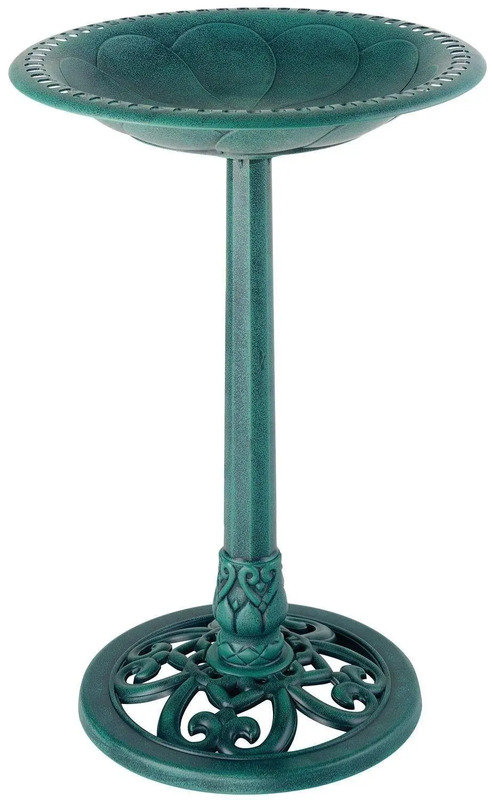 Inferior materials will contribute to faster deterioration, forcing you to purchase new bird baths on a regular basis.